This week we are going to see Yelp reviews of Lush, located at 3000 E 1st Ave, Ste 203, Denver, CO 80206. 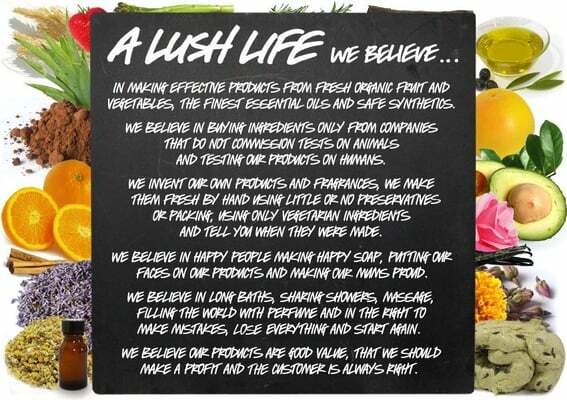 Lush believe in making effective products from fresh, organic fruit and vegetables, the finest essential oils and safe synthetics. They invent their own products and fragrances. They make them fresh by hand using little or no preservative or packaging, using only vegetarian ingredients, and tell you when they were made. They believe in buying ingredients only from companies that do not commission tests on animals and in testing our products on humans. They believe their products are good value, that they should make a profit and that the customer is always right.